The ever-decreasing size of electronic components is leading to a fundamental change in the way computers operate, as at the few-nanometer scale, resistive heating and quantum mechanics prohibit efficient and stable operation. One of the most promising next-generation computing paradigms is Spintronics, which uses the spin of the electron to manipulate and store information in the form of magnetic thin films. I will present our optical studies of the fundamental mechanisms by which we can efficiently manipulate magnetization using electrical current. Although electron spin is a quantum-mechanical property, Spintronics relies on macroscopic magnetization and thus does not take advantage of quantum mechanics in the algorithms used to encode and transmit information. For the second part of my talk, I will present our work under the umbrella of new computing and communication technologies based on the quantum mechanical properties of photons. Quantum technologies often require the carriers of information, or qubits, to have specific properties. Photonic quantum states are good information carriers because they travel fast and are robust to environmental fluctuations, but characterizing and controlling photonic sources so the photons have just the right properties is still a challenge. I will describe our work towards enabling quantum- physics-based communication and computation using photons. Virginia (Gina) Lorenz is an associate professor of Physicsat the University of Illinois at Urbana- Champaign. She received her BA in physics and mathematics, and her MS and PhD degrees in physics from the University of Colorado at Boulder. She was a postdoctoral researcher at the University of Oxford in Atomic and Laser Physics, and an assistant professor of Physics at the University of Delaware until 2014. 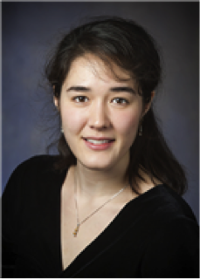 Her group’s research centers on photonic quantum state generation and characterization, quantum memories, spectroscopy, and magnetometry.